Just when you thought the liberal, in the tank, Democrat media complex could not lose any more credibility, a long comes the Mueller report. The liberal media could not have been more wrong when it comes to Trump. Why? Because they don’t report facts, they report what they hope and wish for. Special Counsel Robert Mueller was supposed to be the liberal media’s hero to take down Trump. He did not and the media has lost their minds. Special counsel Robert Mueller’s report on his investigation into Russian election interference was released to the public Thursday, with some redactions. In the end, there 448 pages, 855 separate redactions, some damaging things against President Trump and many things that exonerated Trump, especially when it came to the point of the investigation, so called Russian collusion. However, after all this wasted time and tax payer dollars, Mueller inexplicably punted on the obstruction of justice.However, if Mueller could not make the case after all this time, sorry folks, there was no case to be made. 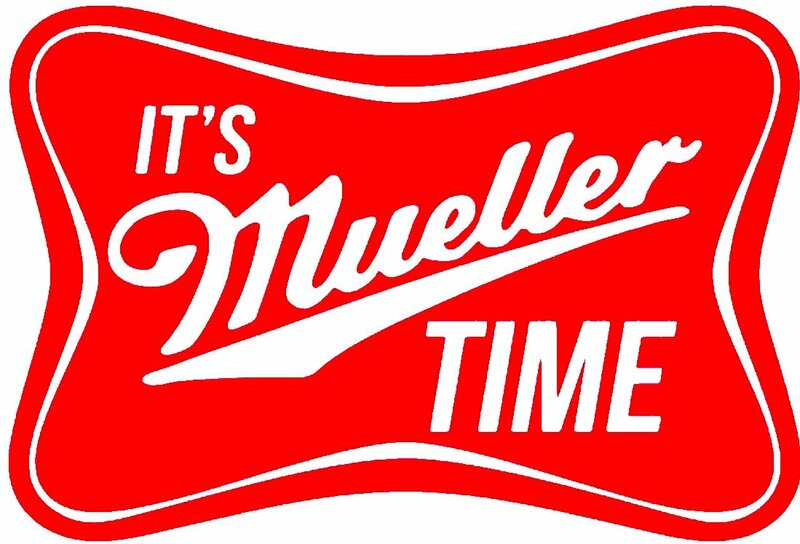 READ the Mueller report HERE. However, the big news of the day was Mueller’s complete and total exoneration of President Donald Trump and his campaign of Russian collusion. That Democrat, liberal moonbat and liberal media conspiracy is dead and finished. As Glenn Greenwald stated, Robert Mueller Did Not Merely Reject the Trump-Russia Conspiracy Theories. He Obliterated Them!!! This was the whole reason why there was a Special counsel created and in the end there was absolutely no, NO collusion. And the bias, all in collusion conspiracy theory, liberal media loses their minds. How fitting as they lost their credibility years ago. The main stream media only thinks they have won, when on Friday a judge ruled that CNN reporter, Jim Acosta, press access be reinstated. Smile and smirk now Acosta et al, but you actual just lost. If the media bothered to report on the story, including the shills at establish Republican FOX News, you will have noted that the judge stated that this was not a First Amendment issue, it was supposedly a 5th Amendment of due process. What does that mean? Well, know that President Trump will be handing down rules of decorum of how the media will conduct themselves in the White House during press conferences, if they disobey the rules, they will be thrown out of the room and have their press credential revoked. The MSM has been put on notice. You will now be subject to a strict criteria of rules of conduct during press conferences, and if you do not behave you will be thrown out or they will end altogether. So MSM, how do you think you won again? President Trump seems to be already working on a plan to regulate press briefings, hours after a judge ruled an ousted CNN reporter’s press access be reinstated. In an interview with Chris Wallace for Fox News Sunday, Trump brushed off Judge Timothy Kelly’s Friday ruling that CNN’s Jim Acosta have his Secret Service pass to the White House grounds be reinstated. Despite the ruling being a interim rejection of The White House argument that the president has “broad” discretion in which credentialed members of the press are allowed access to attend official briefings, Trump said, “It’s not a big deal,” and that his team is already working on “rules” for reporter conduct. If you ever wondered why CNN is referred to as fake news, you need to look no further than the following story. CNN Commentator Julia Ioffe, who also is a correspondent for GQ and writes for The Washington Post, said in a segment on CNN’s “The Lead,” to the disbelief of other guests and to GOP officials on social media, that “this president has radicalized so many more people than ISIS ever did.” UNREAL. This is the kind of crap that CNN allows to be put on air. This is what CNN passes off as fact as some kind of debate. Of course it makes no difference that the Pittsburgh synagogue killer, he hated Trump. Even the Daily Beast wrote, the ‘Pittsburgh Synagogue Suspect Robert Bowers Hated Trump—for Not Hating Jews’. A note to Julie Ioffe and the Leftist moonbats at CNN, Daniel Pearl and James Foley was asked for comment regarding this foolish comment, passed off as fact, sadly he was unavailable for comment. So were the following HERE, HERE, HERE, HERE on infinitum. They would compare radical Islam and terrorism to Trump and his supporters. Make no mistake about it America, the MSM is talking about you. They not only hate Trump, they hate you. Welcome to the insane LEFT and their willingness to say anything, because they have nothing to say. A CNN commentator said Monday that President Trump is worse than the Islamic State, though she promptly took the words back when people began responding on social media. BTW.apology not accepted. The days of this divisive, over the top nonsense need to come to an end. A once proud news organization, CNN is now a joke. As reported at the Washington Examiner, the second Kavanaugh accuser, Deborah Ramirez, refuses to testify to the Senate Judiciary Committee about her accusations made against SCOTUS nominee. This comes as little surprise that she would testify under oath to the 35 year old sketchy accusations that she made against judge Kavanaugh while that were students at Yale that the New Yorker published. I think it is fair to say how credible this story was. Even the New York Times would not go forward with it. Deborah Ramirez, a Yale University classmate of Supreme Court nominee Brett Kavanaugh, is refusing to talk to the Senate Judiciary Committee about her accusation against Kavanaugh, a GOP lawmaker said Tuesday. Clune is scheduled to appear on CNN tonight. Sen. John Kennedy, R-La., who sits on the committee, said a lawyer for Ramirez told committee staff she would not speak to them about her allegation that Kavanaugh flashed his naked groin in her face during an alcohol-laden party their freshman year. Ramirez made the accusation in a blockbuster Sunday night New Yorker story.